We tried. We really did. 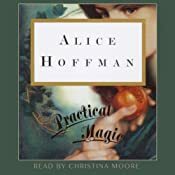 “ALL THE BOOKS!” But, alas, there was a good number of audiobooks we had our eyes on but for one reason or another — usually time… — we didn’t get to them. 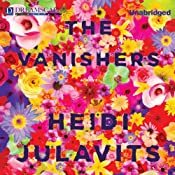 While listing even all of those books would take a while — Audible Frontiers published 750 audiobooks this year alone, let alone the output from the other publishers and the influx of ACX titles — we tried to narrow our lists down as much as we could. (We really did.) 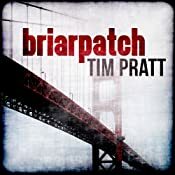 This is part 2 in a 3-part wrapup of 2012, with part 1 being our favorite audiobooks, and part 3 being Books They Missed — in which we’ll bemoan the good-looking books which did not find a US audio home in 2012. But first, part 2: What We Missed. First of all, I’m really only scratching the surface here. 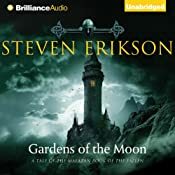 I could be completely content for someone to pay me gas money to drive around the U.S. and listen to audiobooks for the next 365 days, and still feel like I didn’t hear everything I wanted to. But these are the big ones that I hope to hit sometime this year. 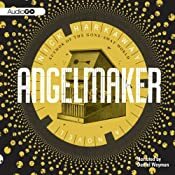 Angelmaker by Nick Harkaway, read by Daniel Weyman for AudioGO — Starting off with one I just couldn’t fit into the schedule. I don’t know what this one is about, and I don’t want to know. 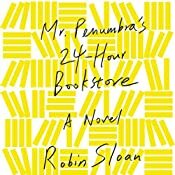 All I know is the protagonist is named Joe Spork, and it’s appeared on a bunch of “Best of 2012” lists. Spork! 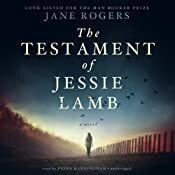 The Testament of Jessie Lamb: A Novel by Jane Rogers, read by Fiona Hardingham for Blackstone Audio — Sam loved this, and it’s won at least one prestigious SF/F award. I would love to be able to give this a listen early on in 2013. The Killing Moon: Dreamblood, Book 1 and The Shadowed Sun: Dreamblood, Book 2 by N.K. 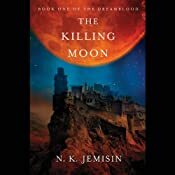 Jemisin, read by Sarah Zimmerman for Hachette Audio — I actually read the Killing Moon and thoroughly enjoyed it – I’m looking forward to listening to both it and the Shadowed Sun later this year. 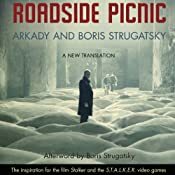 It’s an incredibly unique fantasy series. 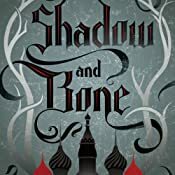 I loved Jemisin’s Inheritance books (read the print version – her voice is incredible). 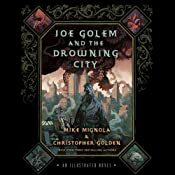 The Drowning Girl by Caitlin R. Kiernan, read by Suzy Jackson for Neil Gaiman Presents — This is one I tried really hard to cram into my year’s end because Sam loved it so much. 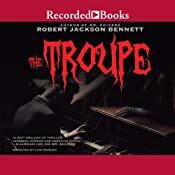 I’ve continued to hear raves about it, and am trying to set aside time to give it a listen. Kiernan is a great author. 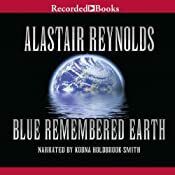 The Long Earth: A Novel by Terry Pratchett and Stephen Baxter, read by Michael Fenton-Stevens for Harper Audio — Another book Sam liked, and I admit I wasn’t all that interested before that. But I’ve continued to hear good things about it, and after falling head-over heels for Dodger, I’m ready to give this one a shot. 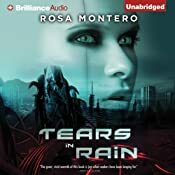 The Drowned Cities by Paolo Bacigalupi, read by Joshua Swanson for Audible — Bagicalupi. 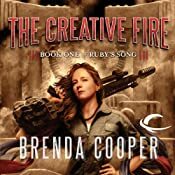 YA dystopian. 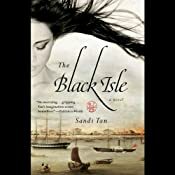 This is one of those books I know I’m predisposed to love. The Diviners by Libba Bray, read by January LaVoy for Listening Library — Roaring 20s YA Fantasy. ‘Nuff said. Goblin Secrets by William Alexander, read by the author for Simon & Schuster Audio — First fantasy book to win the National Book Award (for younger readers). I am in. 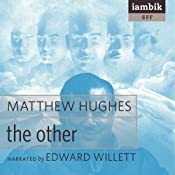 Sacre Bleu: A Comedy d’Art by Christopher Moore, read by Euan Morton for Harper Audio — I’ve never read Christopher Moore before, and for some reason, a fantasy about Van Gough seems like a great place to start. Rip-Off! 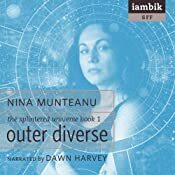 — Listening to this right now, actually, in between listening to The Hobbit. 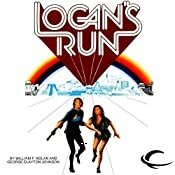 Logan’s Run by William F. Nolan and George Clayton Johnston, read by Oliver Wyman for Audible Frontiers — I loved the 70s movie, but holy hell, this book is so much more deliciously twisted. 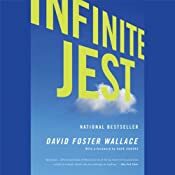 At one point, I was planning on spending a good chunk of the year listening to a bunch of books I had previously read/heard, and this one was at the top of the list. The Privilege of the Sword by Ellen Kushner, read by Kushner and a full cast for Neil Gaiman Presents — What a cast. 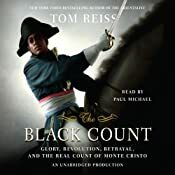 I enjoyed Swordspoint, and am looking forward to getting into this one. A Wrinkle in Time by Madeleine L’Engle, read by Hope Davis for Listening Library — One of my all time favorite children’s books. This is a recent edition, and I’m excited to revisit it. 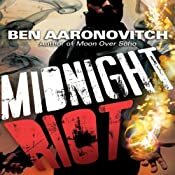 Midnight Riot: Peter Grant, Book 1 by Ben Aaronovitch, read by Kobna Holdbrook-Smith for Tantor Audio — Like The Rook, this is another urban fantasy import from the U.K. which I’ve heard nothing but good things about. 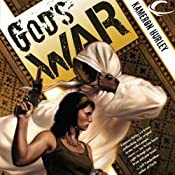 God’s War: Bel Dame Apocrypha, Book 1 by Kameron Hurley, read by Emily Bauer for Audible Frontiers — Hurley’s series has gotten a lot of buzz and acclaim for uber-violent SF. 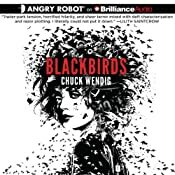 I’ve got the eBook for this on my iPad. 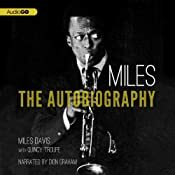 I’m happy there’s an audio edition of it. 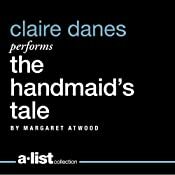 The Handmaid’s Tale by Margaret Atwood, read by Claire Danes for Audible — Claire Danes reading classic SF to me. 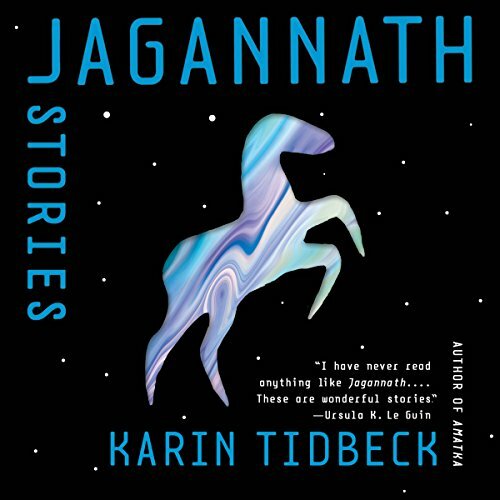 Bookman Histories (The Bookman, Camera Obscura, and The Great Game) by Lavie Tidhar, read by Jonathan Keeble and Karen Cass for Audible — I love Tidhar’s range, and I’m looking forward to reading some of his more crazy ACTION ACTION ACTION stuff. First of all, a lot of Dave’s choices here are high on my list as well. 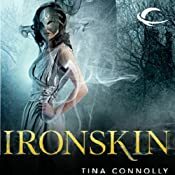 Angelmaker, Kameron Hurley’s trilogy, Ben Aaronovitch’s trilogy, N.K. 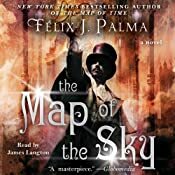 Jemisin’s duology, Midnight Riot, God’s War, Sacre Bleu, Goblin Secrets, The Diviners, and of course Lavie Tidhar. 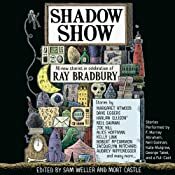 And other choices high on my list are, well, more of Dave’s choices from 2012, like Robert Jackson Bennett’s The Troupe, Shadow Show: All-New Stories in Celebration of Ray Bradbury edited by Sam Weller and Mort Castle, Welcome to Bordertown: New Stories and Poems of the Borderlands, and I already have the Neil Gaiman presented and Simon Vance voiced Viriconium By M. John Harrison in my library for a spare pile of hours. 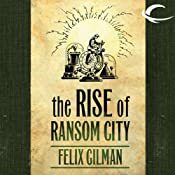 I also definitely want to get to Nine Princes in Amber: The Chronicles of Amber, Book 1 By Roger Zelazny (and the whole series beyond that, but hey, that might take a while) and George R.R. Martin’s Fevre Dream. 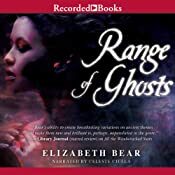 And I’ve been doubly-recommended Raising Stony Mayhall (2011) by Daryl Gregory by both Dave and by Bob Reiss at The Guilded Earlobe, who is as always a major source of audiobooks on my “to listen” list. 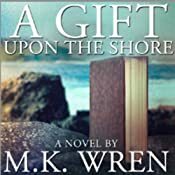 A Gift Upon the Shore by M.K. 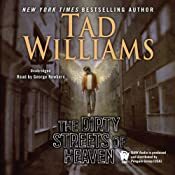 Wren, The Stand by Stephen King, White Horse by Alex Adams, Wool Omnibus Edition by Hugh Howey, The Dog Stars by Peter Heller, and Immobility by Brian Evenson — and that’s just from his Top 10 Post Apocalyptic and Dystopian Audiobooks of 2012, let alone his Top 20 Audiobooks of 2012 (which leads with Wren and King, adds more King (The Wind Through the Keyhole) and reminds me to add Year Zero by Rob Reid, This Book is Full of Spiders: Seriously Dude, Don’t Touch It by David Wong, and Control Point by Myke Cole to my most-missed list), and his excellent reviews all year long, which so often guided my own selections as well as leaving me intrigued for Blackbirds by Chuck Wendig, The Dirty Streets of Heaven by Tad Williams, The Twelve by Justin Cronin, Lamentations by Ken Scholes, Seed by Rob Ziegler, Empire State by Adam Christopher, Rumo & His Miraculous Adventures by Walter Moers, The Return Man by V.M. 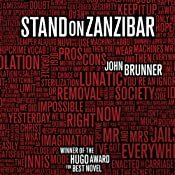 Zito, Stand On Zanzibar by John Brunner, Embedded by Dan Abnett, and Pure by Julianna Baggott. WHEW. OK. That’s enough for now. 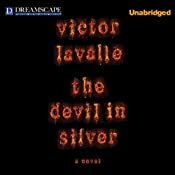 Still, even with all of those books, some deserving books did not get the audiobook treatment in 2012. More on that in Part 3. When we recover from putting this together. This entry was posted in The Arrrdies. Bookmark the permalink.